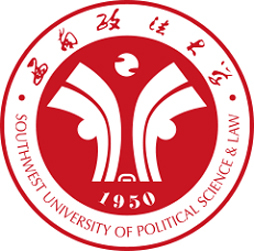 Southwest University of Political Science and Law is the one of the first Juris Master's degree approved by the state in 1995. In 2010, the university was identified as the comprehensive reform experimentation of legal professional degree graduate education by Ministry of education; in 2013, the university was rated the national law professional degree graduate education reform pilot work outstanding university (total of 6). After more than ten years of development, the university trained a large number of high level compound and practical law talents with both ability and political integrity for practice department and formed a distinct education characteristics in legal professional degree. The training objective for the graduate students of Juris Master is to meet the needs of high levels of legal professionals in the aspects of legislation, judicial, administrative, legal supervision, economic management, social management and so on. According to the needs of social employment, the school set up practice of investigation, tax and finance law, the practice of administrative law, the practice of civil and commercial law, civil judicial practice, practice of corporate law, foreign trade law practice, criminal law practice, intellectual property law practice. It sets up the law (enroll students not from law major) and law (enroll students from law major) public courses and professional basic courses in common, combined with the characteristics of the training objectives. It also sets legal professional skills training program of various forms, operability and the prominent effect. It carries out characteristic arrangements in respect of teaching method, internship and thesis supervision and Implements internal and external double tutorial instruction. Law (enrolling students not from law major)’length of schooling is 3 years. It sets up public and professional basic courses in the first and second semester. Characteristic courses and legal professional skills training practice are offered in the third and fourth semester. Students in the fifth and sixth semester focus on the paper writing and professional practice. Law (enrolling students from law major)’ length of schooling is 2 years. The first semester sets up public and professional basic courses. The second semester offers characteristic courses and legal professional skills training practice. Students in the third and fourth semester focus on the paper writing and professional practice. Juris Master and the academic master's degree students have equal rights in respect of scholarships in school period. Students meeting the requirements have rights to join all kinds of domestic and foreign exchange learning project.